Summertime is a delight, for many reasons, but requires more mindful skin care with all the sun and surf dehydration. Now comes a new skin line comprised of the first and only efficacious products to utilize a natural enzyme released by Norweigan baby salmon during the hatching process. Patricia Pao, founder of Restorsea, visited the Norwegian countryside back in 2010 and took a tour of a salmon hatchery, and was struck by the workers’ hands, which looked significantly younger than their faces. Constant manual contact with baby salmon hatching fluid turned out to be the reason the workers’ hands looked so youthful and hydrated. A longtime leader in the beauty and skincare industry, Pao drilled down on the science at hand, and created this entirely natural, chemical-free collection of skin products designed to significantly increase moisture and elasticity and reduce inflammation. 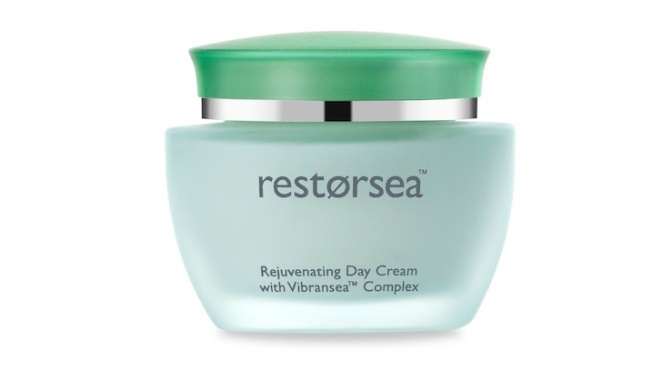 Treat your skin kindly with Restorsea’s Rejuvenating Day Cream and Revitalizing Eye Cream and you’ll find yourself delighted. For more information, go to Restorsea.com.